The heat is on around here these days -- weather-wise, that is -- so that even early in the morning or late in the evening, working with most yarns isn't entirely appealing. Put on the Ritz by adding a little glitz to your date night or party-time summer outfit. "With what?" you might ask. 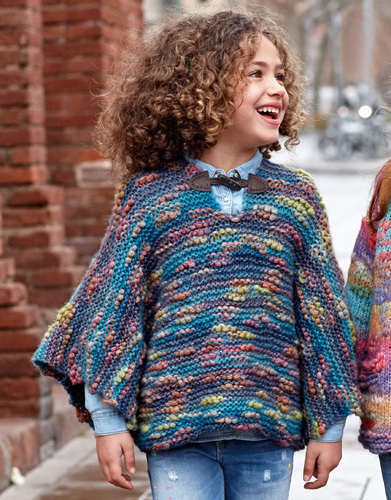 With a yarn that's colourful and sparkly. A yarn that catches the light. 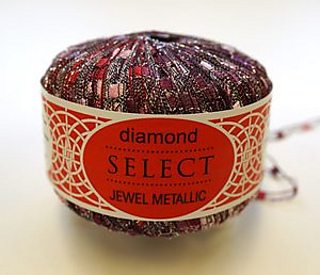 A yarn that's light and quick to knit or crochet with...and can be made into a little summer scarf, simple shawl or -- a necklace. "Quick & Easy Chain Necklace"available for purchase from Crocknits. We have five (5!) glitz-and-glamour colours to complement your wardrobe -- from the sophisticated black, silver and gold of "Silver Dusk" through fall tones of orange, red, yellow and gold ("Rust Gold" and "Autumn Leaves") and the summer fields shades of blue and gold in "Corn Field" -- to the jewel tones of "Rainbow". Choose one, choose them all...pick your pattern...and before you know it you'll have that perfect dressy fashion accessory -- not just in the heat of summer, but all year 'round! *Written by Margaret, happy TCL employee who believes everyone needs a little bling in her life! History and Colour - what a combination!! Central Alberta has not always celebrated it's history. As a culture we are more aware of the people who settled here than we were 30 or 40 years ago. Lacombe is becoming known for it's historic tours of the older buildings, museums and murals. One tour highlight is the working blacksmith shop, and if you are lucky, you may be allowed to make something while there. Recently we had a group of students from Edmonton. One of the group grew up here and brought some classmates down for a walking tour of downtown Lacombe. He worked several summers conducting historical tours. They appeared to be having a great day! Other highlights feature the beautiful gardens around Lacombe, the Ellis Bird Farm, local breweries and great restaurants - some of which feature very old recipes and family favourites. 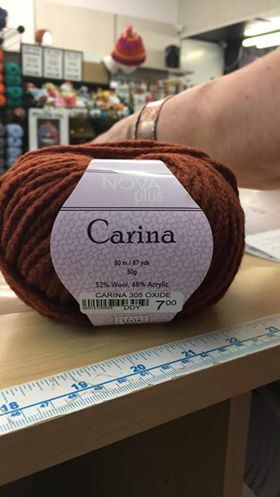 When writing this blog, I was intrigued to discover this week's feature special 75% off yarn is named after a very old community in Japan. Kyoto, once the capital of Japan, is a city on the island of Honshu. They, too, are known for historical tours. Their tours feature classical Buddhist temples, sublime gardens, imperial palaces, Shinto shrines, traditional wooden tea houses and geisha scurrying to secret liaisons. Some of the temples and houses were built in the 1300's. I have just added this to my bucket list of places to visit. If you Google Kyoto - the pictures are very colourful as is this yarn. Milled in Italy you will be able create some beautiful items. We have a good selection of colours - definitely enough to make a larger item and at 75% off - you can start on Christmas with colours to remind you of spring. 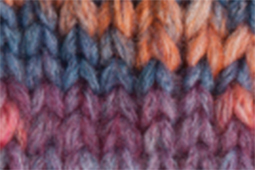 This is a light weight chain yarn, it is a thick - thin yarn (varying thicknesses) and interesting colour changes. Best of all - it is machine washable - Come in and take a look . . . Written by Anne, happy TLC employee who loves history and whose stash is growing rather than decreasing. Yarn deliveries here at The Crafty Lady shop are a "Christmas Morning" experience. While The Lady has placed a specific order, her practice of having it (or a portion of it) paid for before delivery means that we (The Lady and her staff) usually have no idea what's in those boxes -- the ones that arrive one, two, three or (sometimes) many more at a time. Once we discover what's inside, in the process of receiving it into our inventory, we get to find out the names the supplier has given the yarn. Yarns are categorized thus: brand, line, colour. Usually the lines have names; however, this isn't always true of the colours. Sometimes those have names and sometimes numbers -- and sometimes we name the "numbered" colours ourselves. That said...this week we offer you a Super Special, a line named after... a constellation! Though...I confess...I'm not sure we understand the connection. So..."ours is not to reason why..."
We can tell you that it's a rarity...because it's been tough to find any information about this yarn. 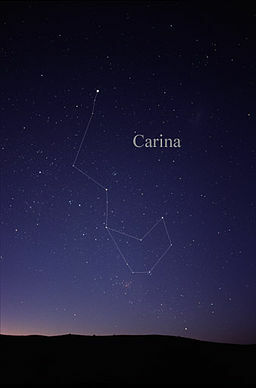 In fact, there's more in the way of facts about the constellation (see above)! 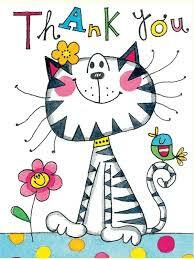 So...we just have to invite you to come to the shop (at our new location -- 5006 50th Avenue, Lacombe, Alberta -- at the corner of 50th Avenue and 50th Street, just west of the CIBC) and see for yourselves! **"Chainette Yarns have a chained ply that provides a hollow core. This increases the weight of the yarn without increasing the heft of the fabric knit or crocheted with it. Chainette Yarns also have a great stretch and elasticity to them that make these yarns a great choice for ribbing and garments or accessories that need to have negative ease built in. 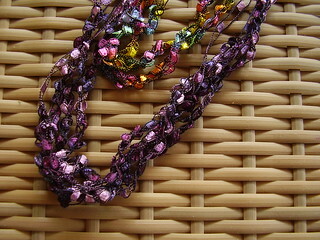 And if that’s not enough to entice you, Chainettes also give great stitch definition and make cables stand out!" *Written by TCL staffer Margaret, who rarely sees the constellations -- regardless of hemisphere -- because she goes to bed too early! As this is being written, we are still moving the last of the yarn into the new location. We have moved everything we did not sell in the biggest sale in the history of The Crafty Lady. Margaret and I have been informed that kind of sale will never happen again - as long as The Crafty Lady is in charge. The second thing The Crafty Lady has categorically stated is: "We are not moving again!". Does that sound like she might just be tempting fate? or does it sound like she is happy to be in our new location and wants to celebrate our arrival? We are in the process of planning a "Grand Re-Opening" - date still to be determined - stay tuned. 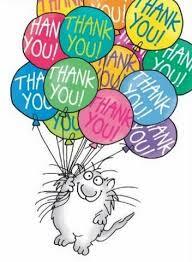 We would like to thank everyone who supported our move. 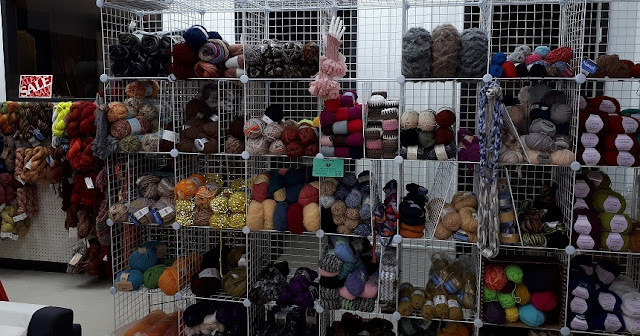 We (The Crafty Lady staff) were amazed by the number of people that returned repeatedly to purchase more and more yarns during the sale. Several people observed they did not want to purchase more yarn until they used some of their stash - and then bought anyway - who could resist the prices. Both Margaret and I joyfully succumbed, purchasing yarns we had been trying to resist. Moving is stressful, but oh, so much fun and we have even had several laughs! The confusion on customers faces when we told them we were moving, or when we could not remember where some colours/items were in either store. We "hired" The Crafty Lady's mother as a designated runner - and she ran back and forth with samples, yarns, buttons and tools. So glad she loves to be active! Now we are keeping her on "staff" to run up and down stairs as we put things into storage and re-stock the hooks and bins. 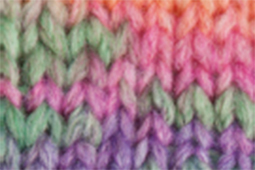 The Crafty Lady has decided all of the yarns in the sale section are - this week only - 75% off. Come in, tour the new store and shop the sale section! Written by Anne, happy TCL employee who is wondering what was slipped into The Crafty Lady's coffee and by whom?